Jayapura, Jubi – Papua Governor Lukas Enembe and the Chairman of the Papua Legislative Council Yunus Wonda have been accused of orchestrating recent demonstrations. The accusations were made by the alleged attackers of Mrs. Henderika Kowenip, who was hurt during a recent protest. First Deputy of Regional Leadership Council of Democrat Party Papua (DPD PD Papua), Corolus Bolly, said he strongly condemned the attack against Kowenip, Coordinator Deputy of DPD PD Papua, on Thursday (2/6/2016) at around 09:00 Papua time near to Trikora Square, Abepura. Kowenip suffered bruises and wounds on her back and face. “The Public Hospital Dok II Jayapura, who conducted medical examination will further explain about Mrs. Kowenip’s health condition,” Corolus Bolly through a release on last week to Jubi in Jayapura. Bolly said he asked both Papua Police and Jayapura Municipal Police to immediately investigate and arrest the perpetrators. “We really want the perpetrators would be punished on their crime in accordance to the Law,” he said. Regarding to accusations levelled by Kowenip’s attackers against Enembe and Wonda, Bolly asserted as leaders, both persons must present among their people without disrespecting their ethnicity, religion, race or particular groups. “As regional leaders, it is their obligation to pay attention, facilitate and serve all interest and dynamic of people living in the entire regions of Papua Province by continuing to keep stability and peace in people’s life. Second Deputy Chairman of DPD PD Papua, Habel Rumbiak, similarly said about dynamic of politic that was occurred recently. He said both Lukas Enembe and Yunus Wonda always appealed to people to respect the Indonesian law and not being anarchy in doing demonstrations. He added together we should maintain the unitary and integrity as well as lead to separation,” he said. Indonesian police in Serui, off the north coast of West Papua, this morning have forcefully confiscated banners, Morning Star flags, amplifiers and other rally paraphernalia from West Papuan protestors, before allowing a major rally against torture to go ahead. Despite providing police with significant notice, organisers of today’s rallies have met with inconsistent police policy in allowing legitimate peaceful expression to occur. The rallies are being held by the West Papua National Authority (WPNA) to express opposition to institutionalised Indonesian security force torture and maltreatment of West Papuan people, and against the continuing criminalisation of legitimate peaceful dissent. It is also to support efforts in Washington DC for West Papua by Torture Abolition and Survivors Support Coalition (TASSC) including seminars, a Vigil to End Torture in front of the White House, and Congressional Briefings on Capitol Hill. The rally had been planned to conduct a traditional long march or “jigjog” to the offices of the DPRD, the Papuan Provincial Parliament. Police in Serui conducted security sweeps of the area from 8 to 10 pm last night. “This is a usual sweeping that security forces do for security measures prior to an event”. said Pak Eddy, the head of intelligence for the police (KAINTEL POLRES) in Serui said via phone to West Papua Media. At 8am this morning, rally organisers were visited by two uniformed Papuan police officers, who told WPNA Serui Governor David Abon to cancel the long march from Wombai Park to the DPRD office. Instead, they instructed Abon to drop people with trucks to the office, but stated firmly that Police “will not provide security for the protesters, nor guarantee their safety”. Rally organisers expressed fears that this would be a prelude for police standing down in the face of militia or military violence, and were perturbed that the police would abrogate its State Responsibility for providing security for civilians engaging in legitimate peaceful expression. The Indonesian police has a long and regular history of standing to one side while military or military controlled civilian groups conduct serious acts of violence against political or religious opposition, such as with East Timor, in West Papua, and more recently against the Ahmadiyah. However, neither the WPNA nor Police have shared any specific intelligence about pro-Jakarta militia mobilisations, despite the local presence of both the Laskar Merah Putih, and the newly formed Euricio Guterres / Bas Suebu militia, ASWAIN. Over 1000 people had begun to gather at Wombai Park, Serui, on Thursday morning in preparation for the long march and listen to speeches and music. At 10:00am, as people were meeting to discuss security situation and day’s plans, one company (150 police) of local Police present at Wombai confiscated with force a truck, Morning Star flags and material (like bags and beanies), amplifiers, and four banners. Due to the speed and force used, people at the park were subject to mounting fear, and were uncertain for their safety. KAINTEL Eddy told the crowd, “Don’t bring flags or banners to the rally, but rally can still go ahead”. This action was is contravention to the rights of people to engage in free cultural expression. The crowd then dispersed peacefully from Wombai and made its way to the DPRD office. Over 200 armed Gegana paramilitary motorbike police are in attendance, as are two companies of normal police. 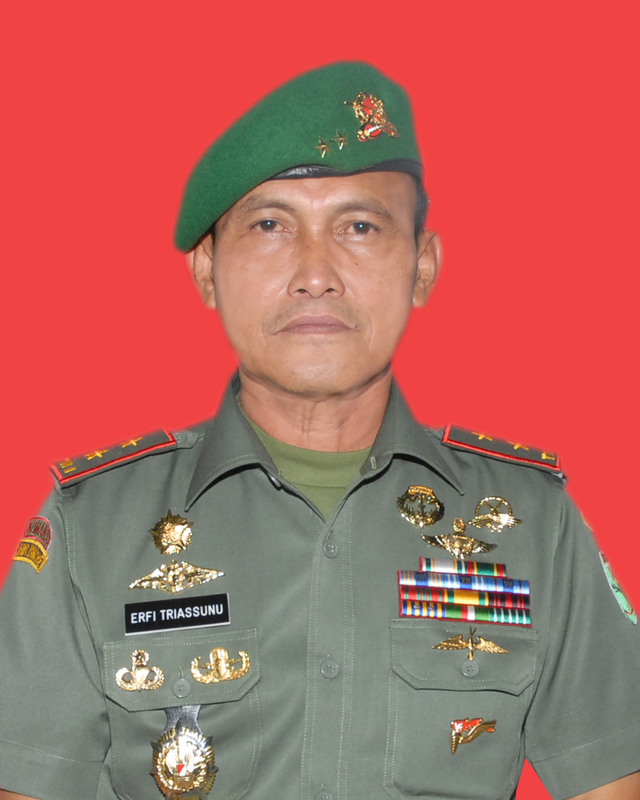 WPNA Security is still on high alert against agents provocateur, and has clear line of communication open to prevent escalation with both Pak Eddy and the KAPOLRES (Regency level Chief of Police, currently in Jayapura). In Mantembu at midday, prior to that march joining with the main rally, Police attempted to shut down the march, and again seized banners that displayed the Morning Star symbol. An intense vocal confrontation between WPNA and Police ensued, but negotiations with Police successfully agreed the rally to be continued until 4pm. ” We will provide the safety and security of all the participants”, said Terrianus Israel Yoku, National Congress President of WPNA. “We want to freely exercise our rights to freedom of assembly, and we ask for security forces to respect the rights of West Papuans to voice our concerns”, said Yoku. “Even though the security forces stop trucks and confiscate morning star flags, banners and amplifiers, it wont stop us marching in peace” said David Abon, govenor of Yapen Waropen. The Kapolres and KAINTEL POLRES apologised to Reverend Yoku, WPNA, for the confiscation of items and the force that was used against demonstrators this morning. Participants from Wombai joined with the 500 Mantembu marchers, who then joined over 3000 people already gathered at DPRD. Delegations also came from Sorong, Manokwari, Jayapura, Fak Fak, Bintuni, Waropen, and Mamberamo. Over 5000 people stayed upon the steps of the DPRD office listening to speeches and music. “A Salute to everyone who made the decision to participate in this long march for peace and justice in West Papua. This is an act of working together in support of what is happening in Australia and Washington to speak out on the ongoing torture and issues towards indigenous West Papuans”, said Jacob Rumbiak, WPNA Foreign Affairs Coordinator, in Australia. “Today, the international advocates are monitoring the situation in West Papua, especially in Serui, and we ask the Indonesian security forces to respect the rally and allow every West Papuans to freely exercise their freedom of expression and freedom assembly”, said Terry Bukorpioper, WPNA’s designated spokesperson to the UN. At time of writing, close to 5000 people joined on the steps of DPRD in a closing prayer with Reverend Phil Ayeni to peacefully end the rally. West Papua Media will continue to monitor the situation closely, and provide timely updates.